Welcome to North Yorkshire Open Studios – A free event that combines culture, breathtaking views and a chance to hone your navigation skills. Each year, artists and makers across the whole of North Yorkshire invite the public into a host of intriguing spaces. From hidden locations on the North Yorkshire Moors and harbourside huts in Whitby and Scarborough to suburban living rooms in Harrogate and beautiful back gardens in the remote Yorkshire Dales. With original works on show ranging from cutting edge craft and design to contemporary sculpture, paintings and ceramics, there will be something to inspire everybody. This annual event provides a great opportunity to buy or commission works for you, your home or your garden, as well as to discover the rich seam of culture that runs through North Yorkshire's breathtaking landscape. Beverley Ann Hicks: In her paintings Beverley aims to create a specific atmosphere through tactile paint application, balancing of composition, and the delicate juxtaposition of colours, shapes and collage. She juggles with these elements, scraping and rubbing layers away to reveal a positive. The paintings are concerned with views of, and through, windows, landscapes, fences, interiors and, most recently, memories. She is happy with her paintings when, as Howard Hodgkin puts it, "You keep on balancing and balancing and balancing until the picture wins". Sarah Smith is a sculptor who currently works mainly in stone. 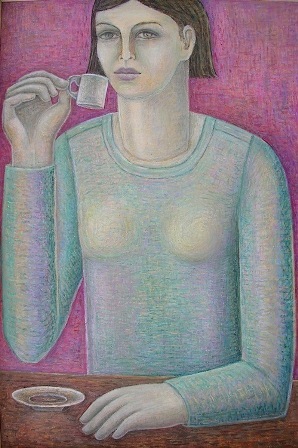 Born in 1965 in Yorkshire, Sarah has exhibited widely throughout the UK, and abroad. In 2013 Sarah was successful in her grant application to the Arts Council International Development Fund to work in Sweden to produce large scale sculpture. This together with a residency in Uganda is informing her recent work. Sarah's sculptures are suitable for both internal and external space. Kitty North is a painter of people and landscape, with an extraordinary ability for revealing the pulse and spirituality of her subjects. She works both en plein air and from her studio in Arncliffe, North Yorkshire. Paintings can be seen in many public and private collections including Chatsworth House, Derbyshire; Devonshire Arms Brasserie Restaurant, Bolton Abbey; and the Devonshire Fell Hotel, Burnsall. She exhibits widely in the North and London, where her work can be viewed at Swan Mead Gallery. 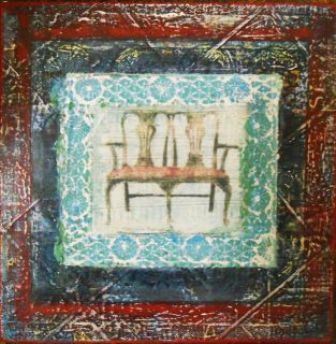 Ruth Addinall : Broadly speaking, Ruth Addinall has two styles of painting. The first, which she describes as 'sculptural', focuses on form and mass and is often quite muted in colour. In the second, she is more concerned with colour, surface texture and movement. In both, composition is crucial. Much of her work could be described as a sort of homage to various of her favourite image-makers. It is in constant interplay with other art as well as drawing inspiration from everyday life. Katharine Holmes, like her mother and grandmother before her, paints and lives at High Barn Cottage. 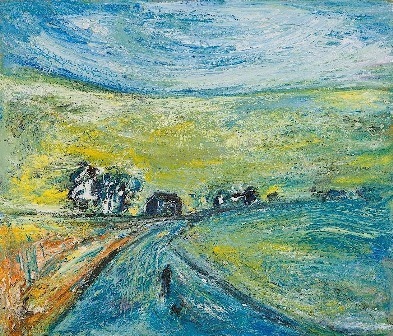 Often working outside in places she has known and loved since childhood, her paintings and drawings capture the atmosphere of the Dales landscape. Katharine continues to explore her heritage and the forces, natural and manmade which shape the Dales environment. Setting out from home on foot with paints, ink, brushes and paper, her latest series of drawings focus on the historic barns and lanes of Malhamdale.